Ferry services on Paturia-Daulatdia route in the Padma River resumed this morning. Ferry services on the route halted since Saturday morning due to dense fog. 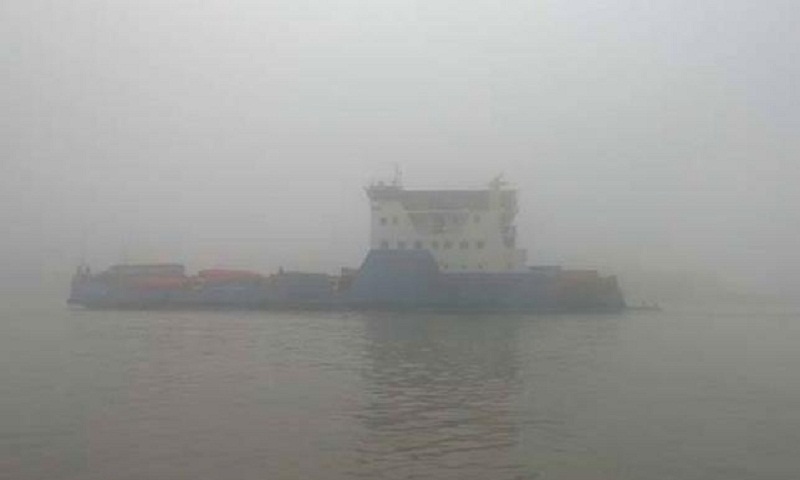 The authorities of Bangladesh Inland Water Transport Corporation (BIWTC) suspended the ferry services and plying of water vessels on the route at 6:00am due to blurred visibility caused the dense fog, said Salahuddin, manager of BIWTC Aricha Sector. Six ferries remained stuck in the middle of the river, he said. Five ferries with a good number of vehicles and passengers on board lay anchored at Paturia and six ferries at Daulatdia. More than three hundred vehicles were waiting on both sides of the river for crossing it, causing sufferings to huge passengers.